A great stock watchlist allows you to spend less time getting your portfolio to the next level. A stock watchlist is a list of stocks that you monitor because you are interested in buying them once they meet a certain investment criteria; this list allows you to make more informed and well-timed investment decisions. The stocks that will live on your watchlist are stocks that you are familiar with and that you have researched. Typically, an investor will monitor the list either daily or weekly and place a trade once certain criteria have been met. These lists can have anywhere from 5-500 stocks on them depending on their purpose and the seriousness of the investor. These lists are often hand curated but you can automate certain processes. An automated stock watchlist will continually replenish stocks whenever one is dropped for no longer meeting the standards. Even with the automated aspects, you will need to be proactively managing your database with any specific rules that add or remove stocks from the list as well as managing the size to make sure it doesn’t get larger than your capacity to manage it. Why should you make a stock watchlist? A common anxiety people have is that they don’t know what stocks to buy: they don’t know how to choose a stock when there are literally thousands. The purpose of a stock watchlist is to break down what’s going on in the market into actionable pieces. Listed on US stock exchanges are over 8,000 companies. Turning that mass of data into a manageable list allows an investor to track companies and stay on top of the most relevant financial news. This gives you a better chance of capturing moves early and reacting when something happens in the market. …to help break down what’s going on in the market into actionable pieces. An investor is interested in purchasing stocks in the materials sector. If the materials sector is generally overvalued there won’t be any attractively priced stocks. The investor could create a list of all the stocks in that sector and track various valuation metrics (including price). When a company on the list met his criteria he would know that it was a candidate for investment. How do you pick the stocks? The performance of an industry group can have a strong impact on a stocks performance. One IBD study found that 37% of a stock’s price movement is tied to the performance of its industry group and another 12% is due to strength in its overall sector. As an example, 37% of Pharmaceuticals company Pfizer’s stock price is tied to the performance of the Pharmaceuticals, Biotechnology & Life Sciences industry group. Another 12% is tied to the strength of the healthcare sector as a whole. There are two ways you can start using industry groups to create your stock watchlist. Your first option is to take the time to identify which sectors are leading the market and then find the best performers from each of these sectors. As a beginner, it makes more sense to choose the second option and take a handful of market leaders from every major sector. You can easily find lists online that break down the top performers by sector. You can also do this in app on certain investing platforms. 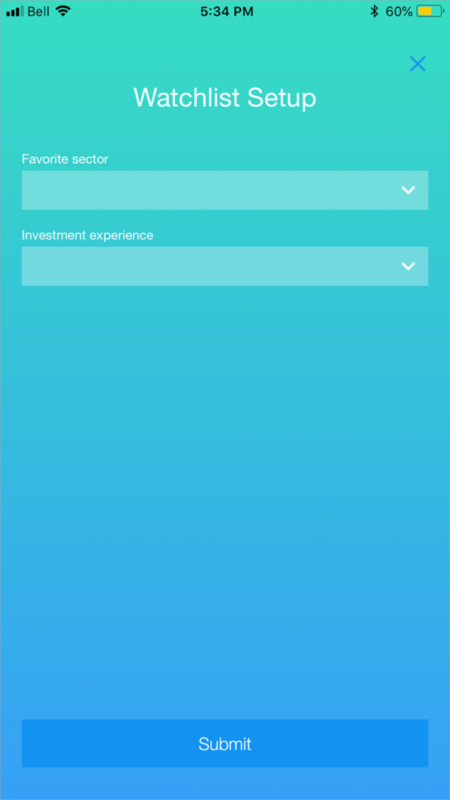 As seen below, with Voleo you can choose a sector and have a watchlist customized for you based on your investment experience. Once you have taken the sector leaders, you can create a second watchlist. You will house your favourite companies on this list. These are likely some of the more popularly traded stocks that you will watch no matter their performance; this may include companies such as Apple (AAPL), Amazon (AMZN) and Facebook (FB). Your main watch list should only have stocks that you are close to buying, so you should be going through it daily or weekly. To aid in this, you need to establish investing criteria and remove a stock when it no longer meets it. If a watchlist breaks the market down into actionable pieces, having multiple watchlists doubles down on that benefit. This allows you to further simplify what you watch in the markets and how you should react. We’ve already mentioned having a secondary list for your favourite stocks, but depending on your investment needs you may have several lists. This could include a smaller more curated list, a larger list that acts as a funnel etc. etc. You must constantly watch and update your small, mail list. Limit your list to the number of ideas you are comfortable managing. If the list is too large for your level of commitment it will become overwhelming, unkempt and unhelpful. There is no point in having a list with hundreds of stocks if you are spending an hour a week trading. If you spread yourself too thin you will miss out on the value of having a watchlist: having a list of stocks that you can follow in the financial markets and trade when the time is right. Some investors recommend having as few as 5-10 stocks on your main watchlist and 50-100 stocks on your side list. This is a simple one: the default watchlist is sorted alphabetically or by date added rather than by a relevant metric. To keep the most interesting opportunities at the top of your list try sorting by Volume % Change. Your main list: if you have only one list, this is it. Between 5-10 stocks, this list is for monitoring your next buys with drastically improved efficiency. You are willing to buy these stocks and they will stay on this list until you have bought them or downgraded them. Your side list: this is your largest list, with anywhere from 50-100 stocks. These are interesting stocks that you want to buy, but they do not yet meet your criteria. Your favourites list: this is a permanent list of stocks that you aren’t monitoring/tweaking daily. This list is where the markets more popular and widely held stocks live. Using the industry group technique, this should be a piece of cake for you. You could create your stock watchlist on the back of a napkin if you had to, but the best way is to use the Voleo app. 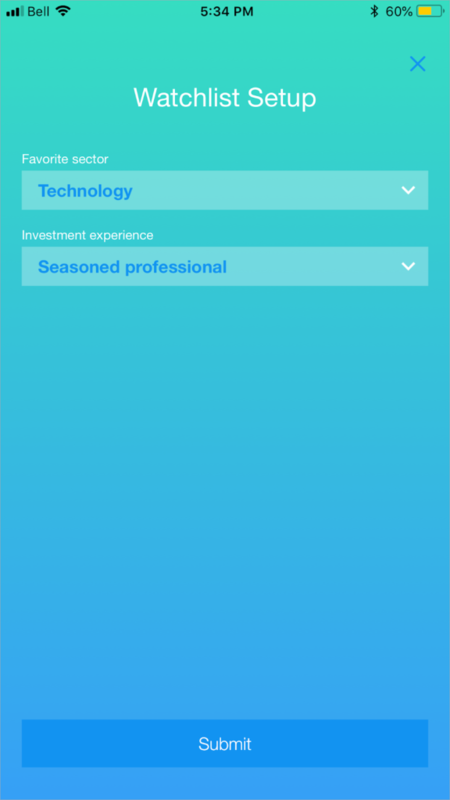 The app offers several unique features such as the ability to create a stock watchlist for the sector of your choice customized to your level of investing knowledge. The app also shows you the industry that each stock in your watchlist operates in. 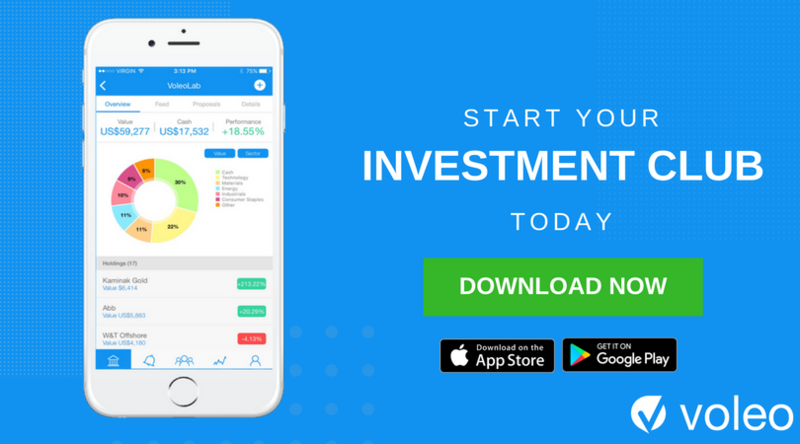 Download the Voleo app now to start your stock watchlist!